So this photo was taken last weekend up in Glen Arbor, Michigan along the Lake Michigan shoreline and I have to say it was one splendid evening to watch a sunset. Kind of amazing huh? It was even more amazing in person. I kind of dig sunsets and Lake Michigan sunsets the most I think. I just had to share that all with you because it was pretty darn inspiring. Anyways, this weekend like I said I am relaxing and not doing much of anything in particular and I am overjoyed about that. Though nothing for me doesn’t mean watching a movie on the couch it more or less means I don’t have work on brain and I may tackle redoing a piece of furniture or maybe organize the stacks of paper on my desk that need to be filed. ha. It sounds like a total dream to me right now. 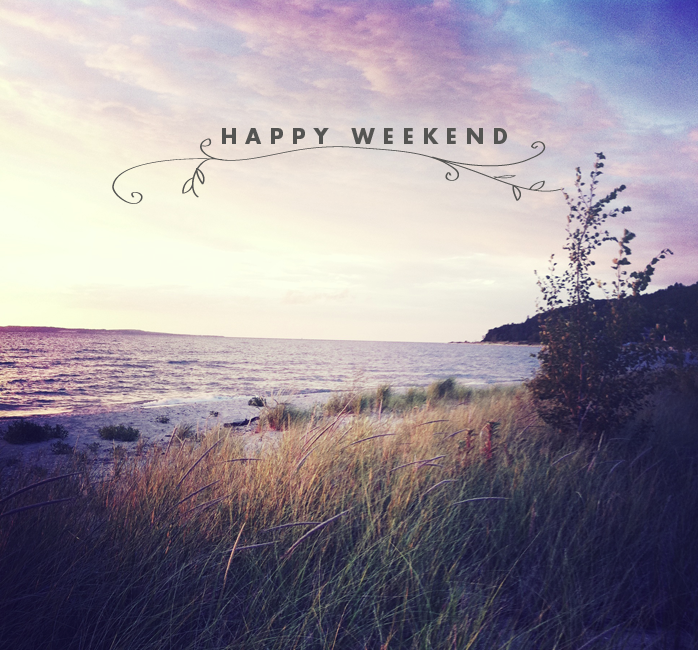 What do you all have planned this weekend? This week has been kind of whirlwind but I think I have rounded up some great things to keep you busy with inspiration! 1. On Monday I bought my ticket to the Alt Design Summit in Utah in January. I am major excited and a little nervous to do something like this. I have never done a conference before and this one has been on the top of my list for over a year now so it was a pretty big moment when I bought the ticket! 2. I discovered the work Parker Fitzgerald and realized via facebook we have about 7 friends in common. I love how small the world is. 3. Really digging the work by Justin Gabbard that I saw on Grain Edit this week. 4. Does this little jacket get any cuter? I mean come on! 5. Can we all just admit how smitten with J.Crew’s Looks We Love? I mean it’s already tempting then to see this it is hard to have constraint. And don’t forget I am over at Simply Blue Weddings with some stripety stripe inspiration for you guys!